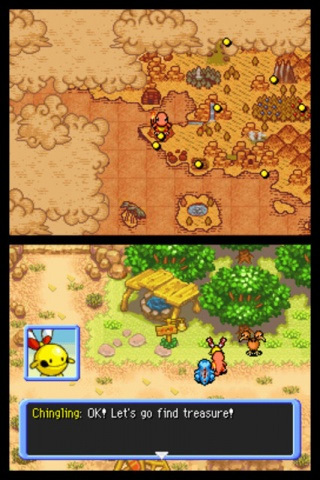 Uncover new adventures in the immersive Pokémon Mystery Dungeon storyline by playing new Special Episodes. 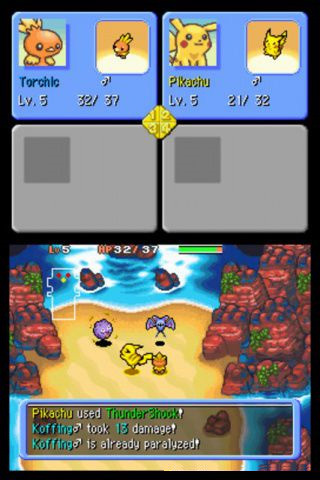 Continue the adventure of the Pokémon Mystery Dungeon series in an exciting new game that builds on the fun of Explorers of Time and Explorers of Darkness. 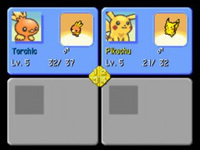 In Pokémon Mystery Dungeon: Explorers of Sky, you’ll have the chance to become a Pokémon and team up with an additional Pokémon to confront thrilling new challenges. 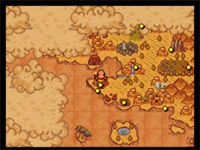 Will your efforts be enough to save the entire world from destruction? For 1 player, or for 2 players in local wireless mode .